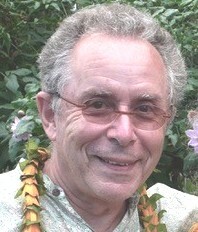 DR. ALBERT E. YELLIN Passed away in Haleiwa, Hawaii on May 1, 2018; he was 81 years old. He was born in Lawrence, Massachusetts on March 21, 1937 to Isaac and Dorothy Yellin. His father was a Rabbi and noted Talmudic Scholar who was an early leader of the Orthodox Jewish community in Southern California. Dr Yellin was the eldest of three boys. Ira who passed away in 2002, was a civic leader and developer who contributed significantly to the current renaissance of Downtown Los Angeles. Marc the youngest is currently an Emergency Medicine Physician in Northern California. Dr Yellin graduated from Harvard College; he then came west to the University of Southern California where he earned his Medical Degree. Following graduation from medical school in 1962, he served a one-year internship and a four-year residency in General Surgery at the Los Angeles County Hospital. The surgical faculty recognizing his surgical and academic potential asked him to stay on for an additional fellowship year, which included training in vascular surgery. He then joined the Department of Surgery at USC as an Assistant Professor of Surgery in 1970. Promoted to Professor of Surgery in 1984, he also served as the Chief of Vascular Surgery for ten years. Los Angeles County Hospital, which became the Los Angeles County + University of Southern California Medical Center, was his surgical home. He also saw patients at the Good Samaritan Hospital and the USC University Hospital (now the Keck Hospital of USC). Over a surgical career of 35 years, Dr Yellin dedicated himself to caring for patients, teaching medical students, training surgical residents and serving in a variety of hospital and Department of Surgery administrative positions. One of his many career accomplishments was the pivotal role he played in the development of the Los Angeles County Integrated Trauma System, which currently includes 13 hospitals in the County of Los Angeles. As the largest integrated trauma system in the United States, it serves as a lasting legacy to Dr. Yellin and many others who made it a reality. Possessing an even temperament, brilliant intellect and calm spirit; Dr Yellin was the consummate surgeon. Unflappable in and out of the operating room, he always was the cool head when many were losing theirs. His surgical repertoire of expertise included operations for portal hypertension, vascular trauma and hepatobiliary disease. He along with Dr. Arthur Donovan, the Emeritus Chairman of Surgery; the late Dr. Tom Berne and Dr. Howard Silberman were the core surgical faculty for the University of Southern California for over 20 years. Numerous general and vascular surgeons and medical students throughout the Western United States have Dr Yellin to thank for his instruction in surgical technique and detailed patient care. Any resident who was lucky enough to serve under Al recognized he demanded excellence and would not accept less. Patience, prudence and a persistence to do the right thing for every patient characterized his surgical career. Al had a lifelong interest in botany, so upon retirement he and his wife Elissa built a home on the island of Oahu in Hawaii with a large greenhouse for his numerous plants. There he rounded daily on his beloved plants, caring for them with the utmost dedication; just as he had done for numerous patients over his long surgical career. Unfortunately, the bite of a venomous bug while making his daily rounds precipitated his eventual ill health. Albert E Yellin will be missed by his many colleagues, friends and family. He is survived by his wife Elissa Yellin, daughter Mia R Yellin and brother Dr. Marc B Yellin. His son Ian G Yellin preceded him in death on March 1, 2017. Gifts in memory of Dr. Yellin can be made to the USC Society of Graduate Surgeons, 1975 Zonal Ave. Suite B45, Los Angeles CA 90089 or online at http://bit.ly/uscsgs.